I won't lie--on Friday, when I got an alert on my phone that Paul Manafort was headed to jail, I smiled. He is accused of a number of arrogant crimes that led to this incarceration, but, an article on the CNN site gave me pause. From: "Judge sends Paul Manfort to jail, pending trial"
Three US marshals led Manafort out of the courtroom into the prisoner holding area immediately after the judge's ruling. He was not placed in handcuffs. Before he disappeared through the door, he turned toward his wife and supporters and gave a stilted wave. 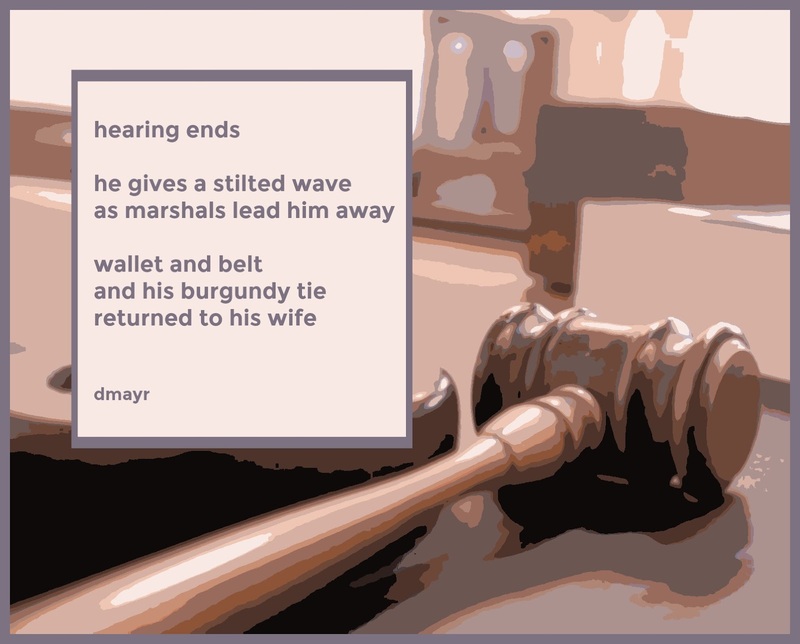 Minutes later, a marshal returned to give his wife, Kathleen, still standing in the courtroom's front row, Manafort's wallet, belt and the burgundy tie he wore Friday.